As Project Wichita gets ready to gather information and set goals, let’s be aware that we’ve done this before, and not long ago. 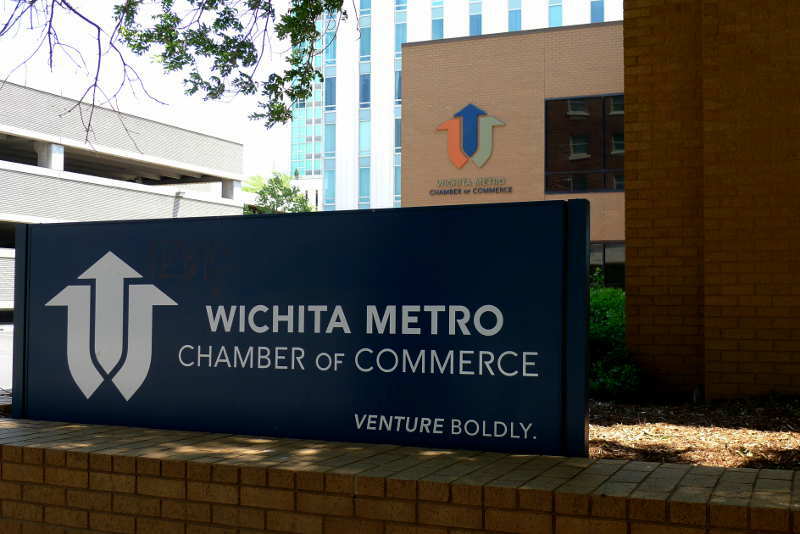 Project Wichita is a new initiative to do something about the future of Wichita. I hope it works. But we’ve been down this road before, and I don’t know of anything created that has been of lasting value. Charts from Visioneering Wichita, May 2009. Click for larger. 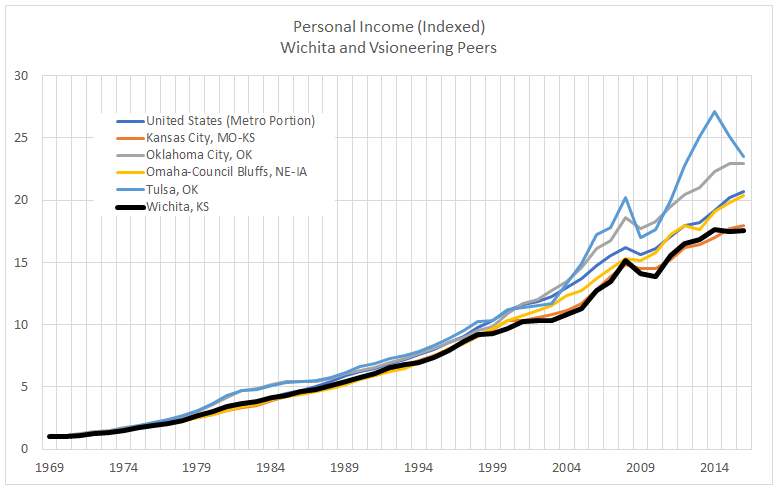 Per Capita Personal Income, Wichita and Visioneering Peers. Click for larger. I’ve gathered data on per capita personal income through 2016, the latest year for a full year of data, and prepared charts similar to those Visioneering used. 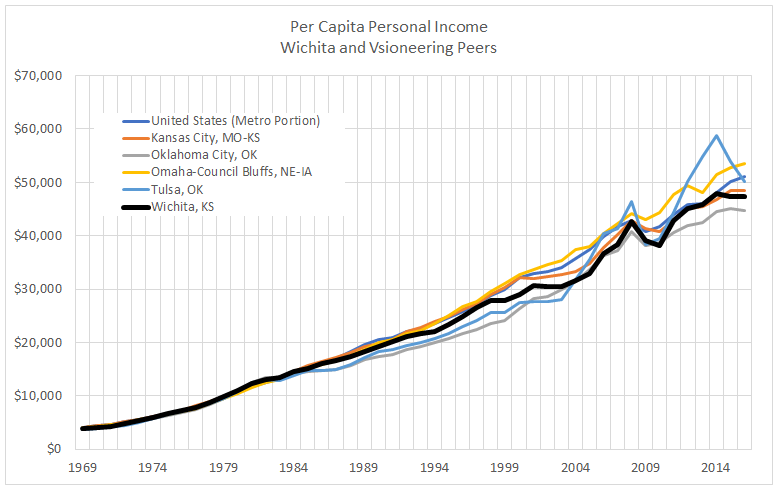 Wichita per capita personal income continues to be lower than the cities identified as Visioneering peers, except for Oklahoma City. 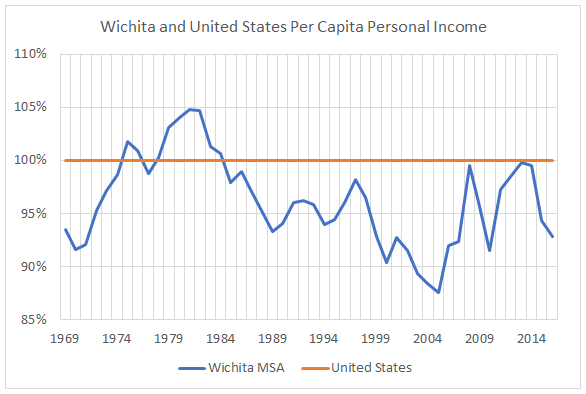 In fact, Wichita per capita personal income was lower in 2016 than in 2014. 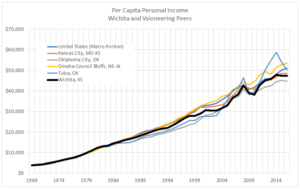 Wichita and United States Per Capita Personal Income. Click for larger. Comparing Wichita to the nation, we see that Wichita took a downturn the past few years. 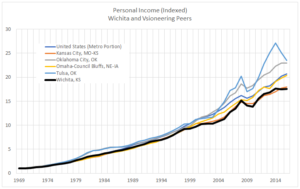 Personal Income, Wichita and Visioneering Peers. Click for larger. Per capita measures, while useful, are not without caveats that need to be understood and considered. 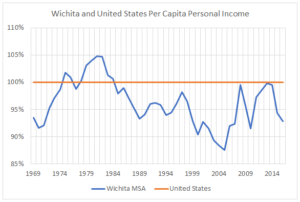 For example, if half the people of Wichita moved to other cities, the per capita income would not change if the income of those who left was evenly distributed compared to the original distribution. Staff of the Visioneering Wichita project used to provide updates on these statistics from time to time. The last update provided to officials that I can recall was in 2013. Wichita civilian labor force through January 2018. Click for larger. Speaking of moving from Wichita, one of the things our region needs to address is the shrinking labor force. Data from the Bureau of Labor Statistics shows that the Wichita labor force is on the decline, while it is rising for the nation. Of the declining labor force, Wichita government and civic leaders use this in two different, and conflicting, ways. First, the declining labor force means that even though job growth is very low, the unemployment rate has dropped, and by a lot. This improved unemployment rate is trumpeted by politicians and bureaucrats. Second, we see concern that Wichita may not have the workers necessary to fill jobs in expanding companies like Spirit Aerosystems. This is used to promote increasing spending on incentives and training infrastructure. Wichita manufacturing jobs, through January 2018. Click for larger. By the way, the Visioneering report mentioned the decline in manufacturing jobs. The data shows that since the end of the Great Recession, the number of manufacturing jobs in the Wichita area is slowly declining, while rising for the nation at the same time. Perhaps the best thing Project Wichita could do is to reveal the truth about the Wichita economy and the economic development infrastructure we’ve built. The Chung Report has done a bit of this. But I don’t think our civic leaders act as through they know and understand. It is against their self-interest to admit that what they’ve done hasn’t been working.